We carry a selection of bulk house hold cleaning and body care products made with natural, environmentally friendly, plant based ingredients as well as several bulk raw ingredients for those who like to make their own DIY style recipes for items such as lip balm, bath bombs etc. 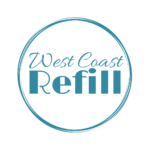 We also offer several plastic free housewares and personal care items. Whenever possible we try to support local British Columbian and Canadian small manufacturers. However, in the case of our raw ingredients, Canada simply doesn’t have the climate to produce many of the items used in cosmetics such as cocoa butter or Soap nuts etc. We do our best to make sure these items are sourced ethically and when available, organically. *All our raw ingredient are sold for cosmetic purposes only and have not been handled for consumption.